Everywhere We Go! – Kazakhstan, March 2019 (Donation 71). Everywhere We Go! – San Marino March (Donation 72). Everywhere We Go! – Israel, October 2018 (Donation 69). Everywhere We Go! – Albania, November 2018 (Donation 70). On the 14th August 2013, the day the Scotland national team took on the Auld Enemy at Wembley, the Tartan Army Sunshine Appeal was keeping up a tradition by donating £2000 to a children’s charity based in London. The chosen charity was Radio Lollipop and marked the 47th consecutive donation for the Sunshine Appeal. Radio Lollipop are an organization run entirely by volunteers who help out in hospitals across Britain, including Great Ormond Street, where the donation took place. The charity run a radio station and organise activities for the children that are unfortunate enough to be in the hospital. 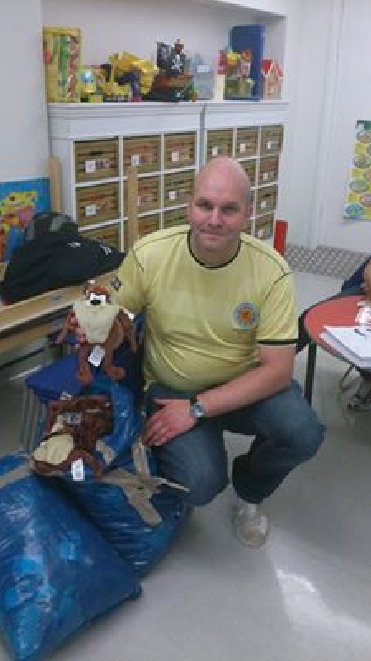 The volunteers visit the wards several nights a week with a trolley full of games and activities to keep the children entertained. 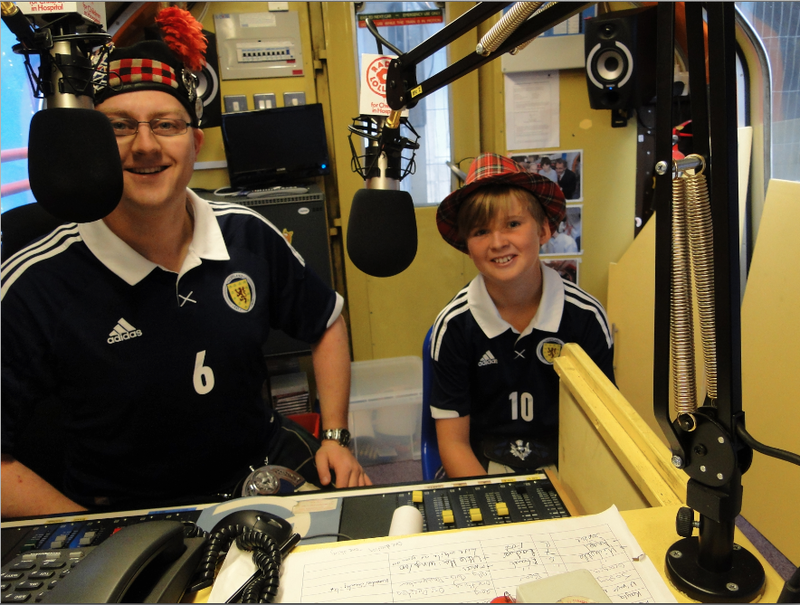 The radio station organises competitions where the kids can win toys and other prizes. 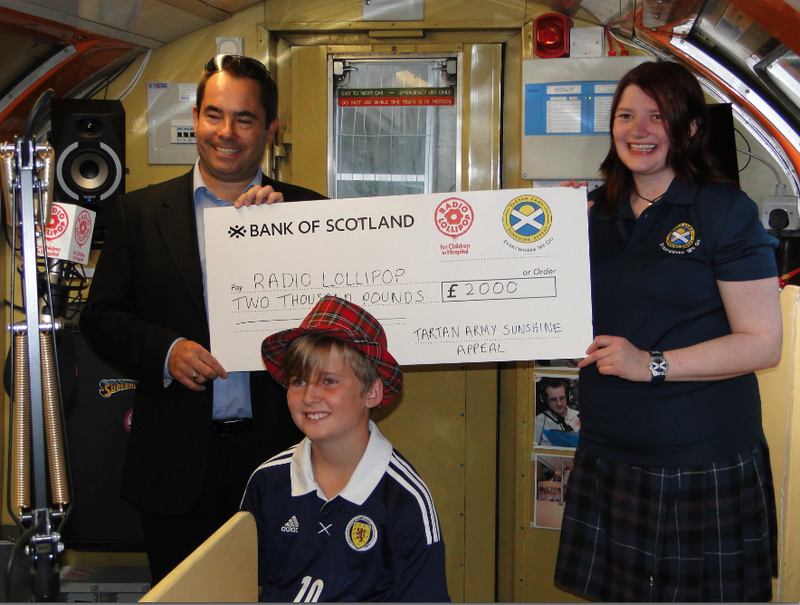 The cheque presentation started with a tour of the radio station which has been set up in an old subway train. 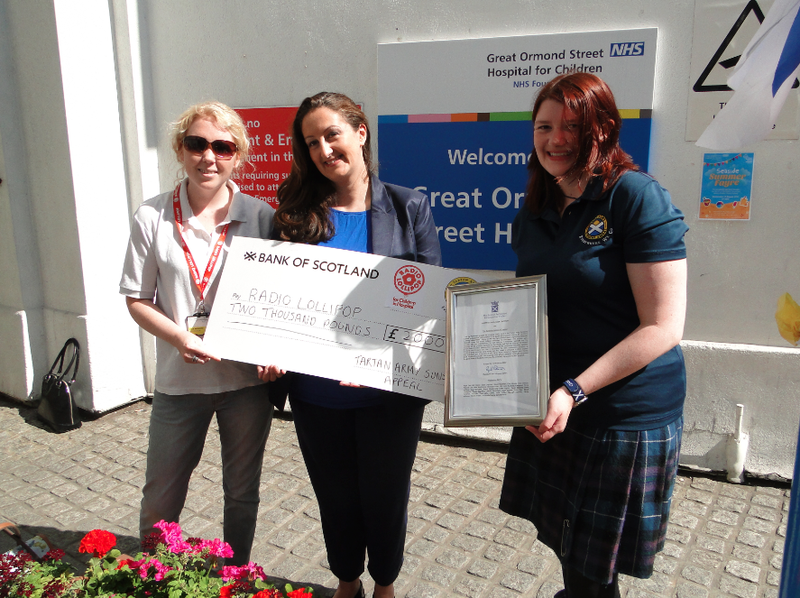 The Sunshine Appeal were pleased to hand over the £2000 that will go towards supplies and radio equipment so that the charity can continue to help the children at Great Ormond Street. A couple of weeks after the donation presentation, we visited Radio Lollipop again and dropped off a couple of sacks full of soft toys for them to use as they saw fit.